And just like that, we talk themselves out of an online purchase in a matter of seconds. We have to address these anxiety-inducing concerns our users have when they first encounter our website. Based on some studies, what follows are a couple of ways a website can establish trust with its users. Recognizable trust seals/security seals such as Norton Secured, McAfee Secure and TRUSTe are designed to provide assurance that a site is secure and that the site has been audited by a third party. In some cases, they do. A survey research by Actual Insights shows that 61% of the research participants have at one point decided not to purchase an item from a website that didn’t have a trust seal. 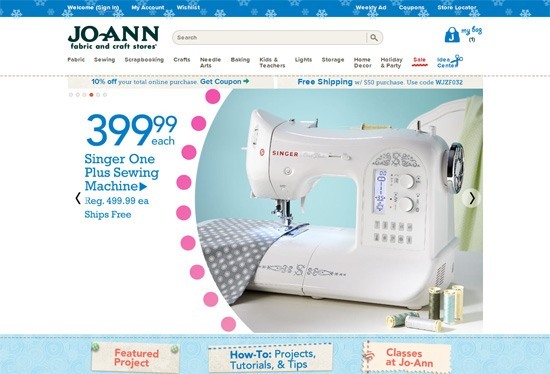 An A/B test study by online craft store Jo-Ann (reported by Internet Retailer) suggests that trust seals can lead to increased online sales. 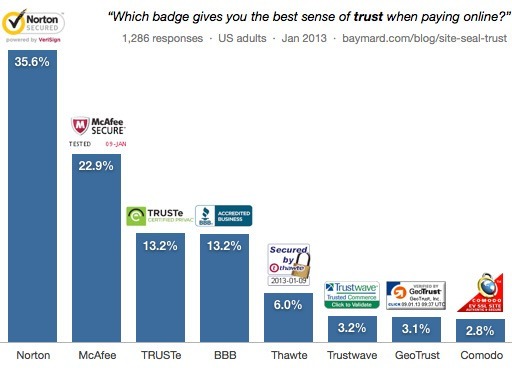 In the A/B test conducted by the e-commerce website, sales grew 5-6% because of the Hacker Safe trust seal. Trust seals give people a sense of assurance that it is probably safe to transact with a website, but subscription to these services can be expensive. In the case of Jo-Ann, the subscription set them back $15,000 a year. This may not be a viable option unless you can generate enough added sales to offset the cost of trust seals. According to a report by Econsultancy, bad reviews actually increased conversions by 67% in one case. This is probably due to people mistrusting reviews consisting of only positive feedback. Another similar option is adding a third-party online consumer review widget on your product pages. One example is Trustpilot, a product review platform. One of my company’s customers implemented a Trustpilot widget and saw a 58% increase in their sales. (Read the case study at my company’s blog). Honesty and transparency — showing the good and bad side — go a long way towards building trust towards your website. What are some ways you establish trust with your users? Share it with us in the comments. Griddify: A Free Photoshop Panel That Makes Grid Design Easy	What Happens to Your Online Presence When You Die?